A cat is man’s best friend and so it is easy to know if something is wrong with her. Why is my cat throwing up undigested food? Well, if this is the question lingering your minds right now, you are in the right place. If your cat throws up more than the usual hairball and leaves piles of undigested food, it means something is not right. The best way is to visit the vet so that he may determine if the cat has some sort of an illness or not. Your cat might simply be regurgitating the food, something that is common when a cat eats rapidly. Even though is not a so pleasant topic, vomiting is very common with cats. In fact, numerous cat owners accept this as a norm when raising a cat. However, it does not have to be like that. Knowing what causes an upset stomach and what you can do to avoid that can lead to fun and better relationship between you and your cat. Possible reasons as to why is my cat vomiting undigested food? Does your cat eat greedily? Some people think that vomiting and regurgitation are all the same. That is not the case. If your cat lowers the head and immediately expels some food that she just ate, she is probably regurgitating. The food appears tubular in shape, covered by slimy mucus, and undigested. On the other hand, if your cat is heaving and retching before expelling the food from her stomach, she is more likely to be vomiting. The food that the cat vomits appears to be somehow digested but will be accompanied by a yellow fluid that is known as bile juice. In such a scenario, the food had already made its way into the cat’s tummy or upper intestine but not just in her esophagus. 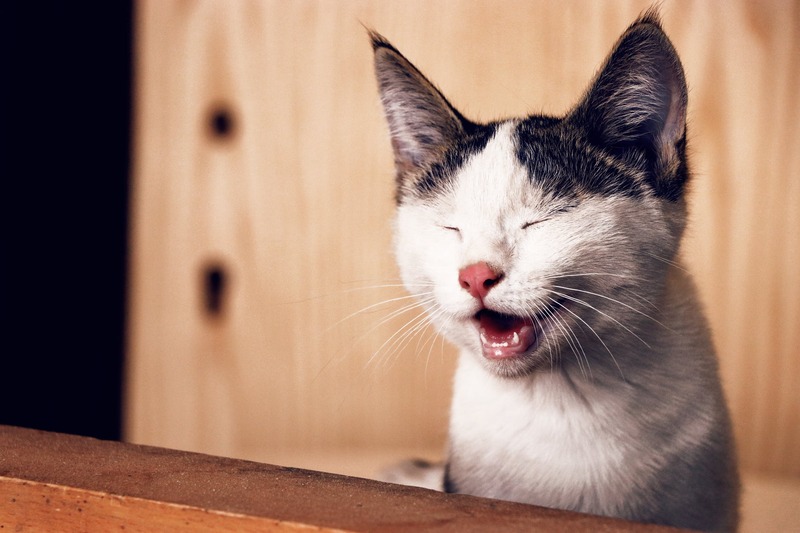 If your cat eats rendered and poor quality diet, that can contribute to vomiting. Rendered diet means cat foods containing proteins that are unfit for human consumption. Such foods consist of bird feathers, slaughterhouse leftovers, hooves, animal skin, heads, eyes, and beaks. Such foods are categorized as proteins, but they are very hard for your pet to digest and assimilate. That leads to vomiting. Some cats develop allergies after eating certain forms of foods and this is a common cause of cats vomiting. If your cat seems okay when it comes to body weight, energy, and socializing but still throws up regularly, it is about time you think of allergy from the food as the reason behind the vomiting. 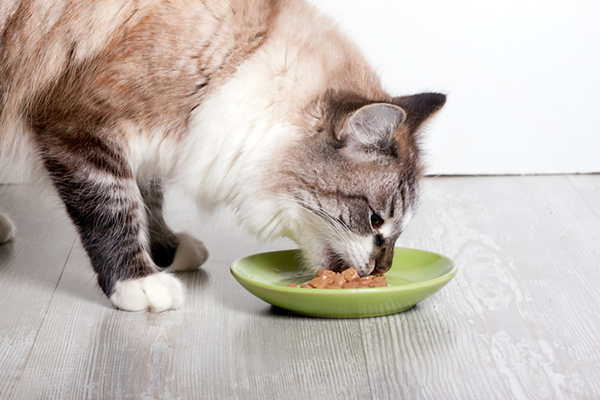 Food allergies can come as a result of you feeding your cat the same food over and over again. Many cat owner’s claims that their pets can’t eat any other thing. While that might be a justifiable excuse, it is good to introduce your cat to various foods to avoid vomiting. Also, avoid feeding your cat wet food. You may notice that your cat throws up after eating wet food. Another reason why cats usually throw up is the fact that they eat very fast. 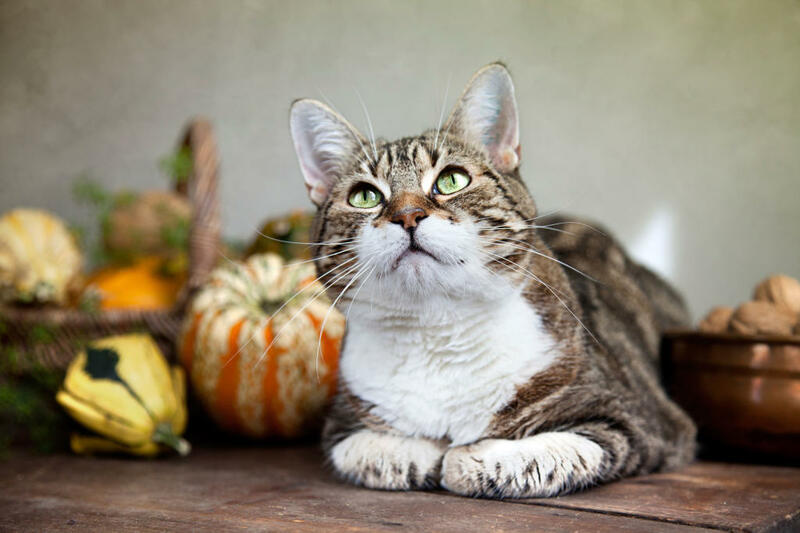 With the fact that a cat is a quadruped, meaning that his esophagus is horizontal but not diagonal, it is possible for food to stop against the lower side of his esophageal sphincter. That is why you may find your cat throwing up undigested food hours after eating. Once your cat is vomiting undigested food on a regular basis, it is good to bring her to the vet so as to rule out an illness. It is good to bring a sample of the vomit in a container so that your vet can examine and make a diagnosis. A vet may run urine or blood test on your cat, make X-rays, and other diagnostic measures, just to be sure. If your cat suffers from an illness or she is allergic to a certain form of foods, your vet will give prescription depending on the diagnosis. In case your vet rules out a medical condition as the cause of the vomiting, maybe your cat eats too rapidly. While some people think that kittens are the only ones with eating problems, you may also find an elderly cat vomiting undigested food after eating very fast. To avoid vomits, encourage your cat to eat moderately by serving her small meals throughout the day. Another trick is by placing a ball in the middle of her plate so that she can eat going round, preventing her from swallowing the whole amount very fast. Also, you can place a dry kibble in her treat ball which releases kibble slowly when your cat plays with it. Elevating your cats dish slightly high will make it hard for your cat to east faster. The cat will be forced to struggle a bit when reaching for the food and this will slow her intake. As you place the ball in the middle of the plate, you need to make sure that the ball is big enough so that the cat does not swallow it. Also, you need to avoid feeding your cat in a place with multiple cats to avoid competitive eating. 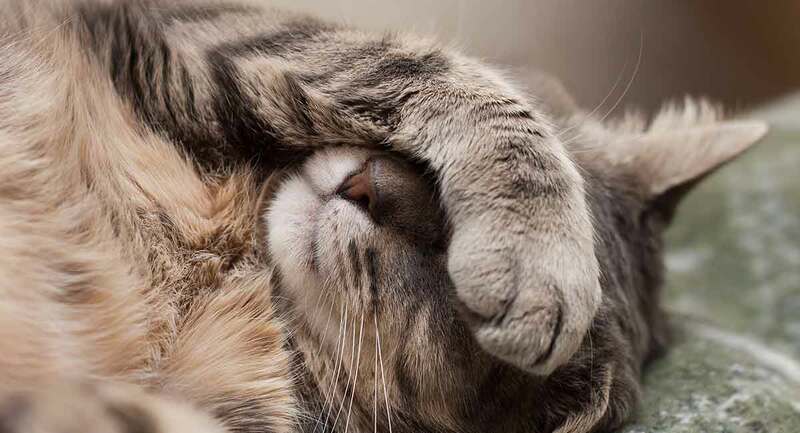 You can remedy vomiting by feeding your cat hairball or feed her a hairball lubricant in case she is throwing up balls of hair, and if your vet has ruled out any illness. The remedy will help the cat to get rid of hairballs through her stool rather than vomiting them. If your cat is stressed, she may vomit when upset. To avoid this, you may give her plenty of toys to keep her busy. Also, you can use cat pheromone spray to keep her calm. There you have it. While many cat owners see cat vomiting as a norm, you should not just sit around and watch. Take action! When your cat is happy and healthy, you and your family will be happy as well. That is why extra care needs to be taken when it comes to cat care. Besides, vomiting can lead to dehydration, which is not good for a cat. Make good use of the above advice and have a happy and healthy cat!